Find hotel near Blockhouse Bay Beach Rese .. 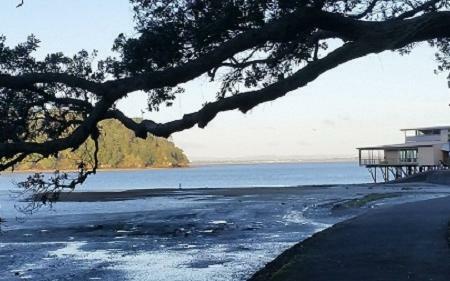 Located in the suburb of Auckland, the Blockhouse Bay Beach Reserve is a rather understated part of the city known for an incomparable view of the bay water. The un-crowded beach makes for gorgeous photos while the nearby grass area has plenty of picnic tables. You can even have a barbeque here. The mudflats can get a little tricky but a swim in the water is refreshing. On a sunny day, the beach is ideal for sun soaking. Carry swimsuit or a change of clothes, as per your need. You will have to pay a small charge for having a barbeque here. Great family friendly beach, tide goes a very long way out so suggest high tide visits. Had a lot of fun here, great location by the water, fun for family picnics, to watch bands, easy parking, a well loved park. Great place for the family. Go behind the rowing club and it looks like a great place to fish. We saw a few large fish jump out of the water. Good place for young children as playground away from carpark.